One month past the Solstice and our days continue to grow longer. We can feel the earth turning gradually towards the sun and the early changes of the season are appearing in the plants and creatures around us. As Spring gradually approaches, we have also reached a significant threshold in the renewal of the school. The Board has completed the recruitment process for the new position of Principal and we look forward to announcing the appointment to the school community next week. We are also undertaking a major review of policies and procedures. The first of these – Positive Behaviour Policy, Bullying and Harassment Policy and Complaints and Grievances Policy – will be circulated to parents as consultation drafts next week. Your input will help us to strengthen these important ways of working together as a school community. 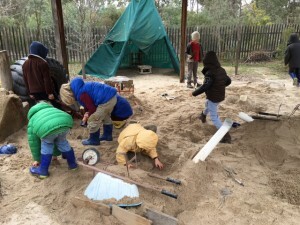 This week’s lesson from the playground – if you’re feeling stuck, find another way out! The sandpit is full of very imaginative ‘inventions’ this week, wheels go around, pipes run underground, buckets collect water. We are keeping warm in Morning Circle developing our skills and coordination, marching, skipping, side skipping, jumping, and walking on our toes, heels and the sides of our feet. Our Class Meeting is this Thursday 28th July at 7.30pm. We will review the year so far and what lies ahead, followed by a discussion on ‘Order of Birth in the Family’ and how it impacts on the child. We have come to the end of our Shelters and Dwellings Main Lesson. We have finished up with looking at all the tradespeople needed to build a house: The Plumber, The Carpenter, The Electrician, The Roofer, The Plaster and The Painter. We have all enjoyed this Main Lesson immensely and are very sad to see it finish. We are still continuing with our building project with the floor being sawed and laid at present. The children are working very hard cutting timber, nailing boards and measuring. We still are in need of some building materials, corrugated iron, and timber lengths. If you have any spare materials that you can donate, Class 3 would greatly appreciate it. Don’t forget our Campaspe River Walk is next Tuesday. Please remember to return your child’s permission form and remember to dress them in waterproof clothing on the day. Class Four have had a wonderful time practicing and sharing their play, “Theft of Thor’s Hammer” this week. They have worked hard at improving their speech work individually and in chorus and have shown how well they can work and support each other. We have enjoyed listening to the Norse Myth, “The Curse of The Ring” and have painted Ragnorakk, the Sun and the Moon being devoured by Hati and Skoll and The New World. Our next Main Lesson will be on Fractions, which will involve some dividing up of food and eating it. Dear Families and friends of Class 5. Holidays are wonderful but there is “no place like home “. It has been so nice to return and be back with the class again. I have had many things to hear about from the children and they are very settled and working well on our new Main Lesson. Thank you for your contribution to our special Morning Tea on Monday, my first day back. It was a lovely way to begin, and Kate and the children had made for me a welcoming banner as well ! Special thanks to Ellie and Kate for taking such good care of the class while I was away. I was most disappointed not to meet with you at the Class Meeting. I feel that I must wait now for the warmer weather to have another meeting as I know how hard it is to organise baby-sitters and come out on cold nights. Thank you for the efforts you make to show your support in this way. I hope to send you a brief outline of the work this term so you will know what we are up to. I will have a time table/ list in the office next week in order for you to make a time to have a chat about your child’s progress. We are currently working on the Epic of Gilgamesh, a wonderful ancient piece of writing out of Persia. 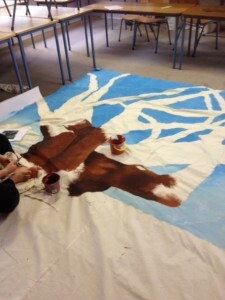 Also lots of rhythms, music, poetry and painting. Thank you so much for the welcome back I have had from so many of you. What is the Usefulness of Money? Why did people move from Bartering Economics to Money Economics? What is the value of Human Work and Endeavours? What is the difference between Purchase Money, Loan Money and Gift Money? And so we get to managing money and the use of Double-entry Bookkeeping. Many big concepts have arisen and it is a joy to see these students rise to the challenge and hear their wonderful ideas. We are currently doing a Main Lesson on ‘The Rise of Islam’, a very important lesson for the students at this age and this particular time. We are also beginning our play, a comedy based on the ‘Canterbury Tales’ by Geoffrey Chaucer. It promises to be lots of fun! Please encourage your children to do plenty of practice! We hope to perform this on Thursday 1st and Friday 2nd September. Class 8 are well into preparing for performances of this year’s Shakespearean play, As You Like It. The introductory Main Lesson and excursion to see the Bell Theatre Company’s performance of Othello were both primers for the students to take up the challenge of staging their own ‘take’ on the play. The process always takes on the nature of a rite of passage! Rob Jorritsma is sharing his enthusiasm and extensive knowledge of Shakespeare as he directs the Class towards the final performance on Friday evening, 12th August. Thank you Rob. There will be a rehearsal from 10 am. to 3 p.m. (tbc) on Sunday 7th August. Lunch will be provided. Also, a reminder to parents of our Class Meeting next Tuesday (fourth Tuesday of the Term) at 7:30 p.m.
More information will be given about a proposed Agriculture excursion to a Field Day at Sutton Grange on Friday 19th August. There will be seven presenters including owners of the Holy Goat Cheese Farm. Jaques’ famous speech from ‘As You Like It’ features in this week’s work in Class 8. Over the next two weeks we will immerse ourselves in the wonderful world of Shakespeare. Verse and prose, humour and tension, it’s all there. It’s great to see the students getting into learning their lines and showing eagerness to explore dynamics of scenes. What a joy! The play will be performed on Friday 12th August at 7.30pm. If you can’t make it then, there is an opportunity to see it Thursday afternoon at 2pm. We hope to see you all. 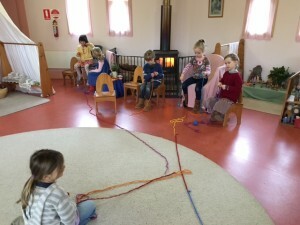 Even through this cold and dark spell I am amazed with the enthusiasm and joy the children bring to each class. I must say that that gets me through this time of year in Castlemaine. My head is full of all the projects we are working on, the Spring Fair Art and Craft Exhibition and the general preparation for each class, each smile I receive helps me achieve what I must. Last week I had the pleasure of working with a Work Experience student. Isabel Chapman spent her eight years of primary education at this school and it was wonderful having her return. 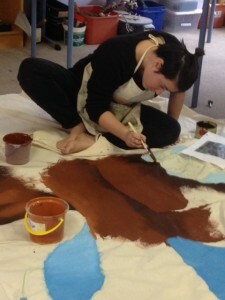 Isabel spent the week observing classes as well as preparing, designing and painting a 3×3 meter back drop for the up and coming Year 8 Shakespeare play. 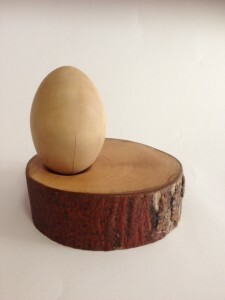 Class 6 have almost completed their woodwork project, Wooden Egg on plinth, the photos of these completed works speak for themselves. Keep warm, smiling and wonder at the projects created by these, our, children. Amazingly we have already reached the third week of term – and the Tour de France has at last arrived at its destination after a journey of nearly four thousand kilometres! Students in Classes Six, Seven and Eight have investigated the story of the French Revolution, collected some interesting statistics about the Tour and are currently taking a closer look at some of the regional towns visited on the 2016 route. It has been very helpful to have access to a much faster internet speed this term as students in Classes Seven and Eight hone their IT skills by unearthing information about many of these more unusual locations and geographic features. And we will revisit some of the sporting vocabulary we have learned when we take a look at the modern Olympics in just a fortnight. 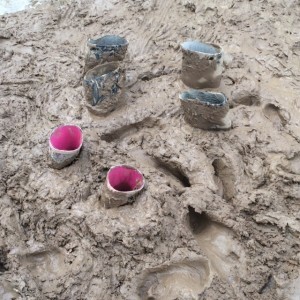 Finally, the lovely singers of Class One have been practising their words and gestures for Dans la nuit de l’hiver – our song about the little snowman who got too close to the woodstove and strangely disappeared … leaving only a puddle! If our recent weather is anything to go by, his plight is very understandable! …and do visit the library to see the French display by Classes Six, Seven and Eight! 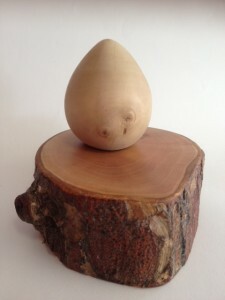 I love my work here, particularly the more creative and sculptural opportunities that arise. The latest is the restoration of our Steiner School entrance sign, an important piece of our identity and school history. The cedar sign, complete with pantograph lettering (In Waldorf Schrift font, of course! ), was made by erstwhile maintenance man, Bow Thompson, a volunteer at the time. It originally graced the entrance to the Penny School in Maldon, our School’s initial location over twenty years ago. Around 1996, the school, along with the sign (but not the building), relocated here when we went through probably the third and possibly most significant stage of our evolution as we went about the massive task of building the unique School we now all enjoy here. This School, infrastructure aside, has been built largely by the people who have been part of our community over the years, – people of incredible heart, vision and generosity, and largely, volunteers who’ve had extraordinary input into every aspect of it, including the buildings! Some have given so much of themselves as to be fully spent by the end of that stage, may we be ever grateful for their contribution! Sally and I photographed our children in front of the sign on their first day here in 1997 and others have done the same over the years, but recently, the old shingle, unable to escape the ravages of natural attrition, lilted and toppled with its perch one day, despite several ambitious attempts over the years to keep it poised just so in original guise indefinitely! Enter the synchronistic opportunity; soon after, a windstorm tore a branch from a tree- one of the original plantings in the garden! I was so pleased with the shape of the branch and the opportunity was obvious! A couple of the classes on their way past have stopped by at the maintenance shed and taken quite an interest as Huw and I have been working on the sign restoration and the new support, which has included using an adze to take the bark off the branch. The word ‘entrance’ comes from the 1530’s, from ‘enter’ (sense of door, gate) and ‘trance’ (to throw into a trance). I guess that would mean that an entrance is reflective of the particular energy of a space. 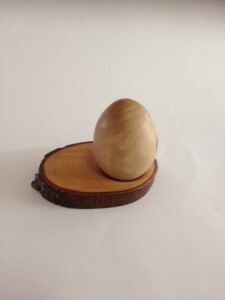 As such, the installation is receiving sensitive consideration and is a special piece of work to be involved in. Below are photos of the sign as it morphs. Everything would seem to be constantly doing so; we are always morphing, individually and as a community. If something seems to be sleeping, it’s just building energy toward its new state; when something steps fully into its new state, or metamorphoses, the energy of that new state is released; often a fountain of joyous beauty! While it’s hard to divine, there does seem to be something here gently swelling and building..I can hear the sounds of it as if bearing out toward birth, and with it I can feel a swelling of joy in my heart., and of course we are all part of it, Wow, so proud to be part of it! When the ground dries out sufficiently, we will be able to reinstall the sign at the entrance to the school proper. For those interested, one of these photo’s was taken circa 2002 and the difference fouteen years later does show quite some evolution! Notice the absence of School bells on the Cl 5-6 building to the left. 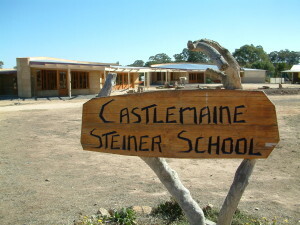 Centre background shows the current class 7/8 building- the (current) class 8 building was at the time the prep building, evidenced by the appropriate secure fencing. Notice also the beginnings of the Heartlands (centre). There’s been quite some contribution, change and evolution here since then! On with the never ending journey and the continuation of a School built by the people here. ! We have been learning all about the different rules, positions and skills required when playing netball lately. Netball is a fantastic team game as it requires students to work together to move the ball from end to end efficiently. It also necessitates that students be aware of their positioning and run into space in order to receive a pass from there team members. With players only allowed to hold the ball for three seconds, quick thinking, limited hesitations and trust in our team members is paramount towards success. After two weeks focusing on our skills, we are now ready to put all that we have learned into a big game next week. More exciting news is that I have secured the help of Sam Thomas, father of Ona in Class One, who works for the Castlemaine Circus. Late in August, Sam will be coming out to demonstrate many different circus skills with various pieces of equipment. After observing many different circus skills, students will then work individually or in a group, creating there own circus performance full of various tricks and skills. In the final week of this program, there may be an opportunity for parents to attend and watch there child perform their newly developed circus skills. Very exciting! More to follow soon. This term we will be working on loosening up our tongues to get very good at speaking Spanish, so lots of phonetics through singing and tongue twisters will be the daily bread in our lessons. Some stories are being told in Spanish for the little ones and some basic grammar will be revealed to the older ones with lots of reading and writing in between! Our King Winter dolls started to come to life this week. It’s been a satisfying process – dyeing the felt, cutting out the patterns and now starting to sew and shape. Thank you to Linda for sharing her knowledge and love of doll making with us. It’s not too late to begin, either this coming week or next. After doll making, we’ll be doing some wet on wet watercolour painting and rainbow felt dyeing. You’re welcome to join us any Wednesday morning for some morning tea, chatting and crafting. We’re in the Parents Room from drop off until about noon. In the lead up to Spring Fair we will be meeting in the Parents Room other mornings as well. Feel free to get in touch if you’d like to join in with your Fair activities. Our soap making workshop will be on Saturday, 27 August from 10-2pm. We’ll be utilising a hot process so soaps will be useable shortly after they are made. A leaflet with more details will come home soon. In case you aren’t aware, Elizabeth from Morning Star Crafts is now living locally. Her online store (morningstarcrafts.com.au) carries a wide range of Steiner related art and craft materials, as well as toys and books. Pick up from her home is available to save on postage and waiting time! 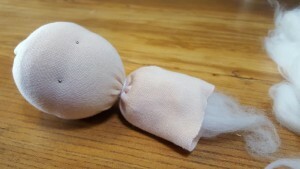 Elizabeth has supplied some of the beautiful doll making materials we have been using this week. Lastly, there are lots of long sleeved tops and jackets in lost property, which is currently spread out on the table in the Parents Room. If you’re not out at school often, please ask your child to pop in and have a look. Children love the bush track that runs around the school dam. In winter, hidden treasures emerge with the rain and are spotted by keen eyes. Last winter, my girls and I discovered tiny leaves, flat on the ground near the carpark outside school. I knew they were orchids, but their shape was so unusual I didn’t know which species. Experts around town were flummoxed too. Finally, we realised trampling feet had made the flowers grow wonky. This year, the delicate leaves are out again. And this time perfectly formed buds and flowers are emerging. 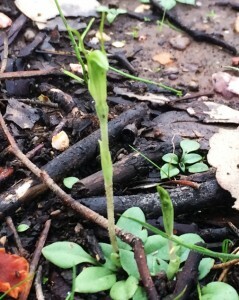 Dwarf Greenhood orchids just 15 cm tall, with whisker like ears. They lure tiny gnats with a perfume, and trap them momentarily. The gnats pollinate the flowers while struggling to escape. This small Greenhood colony now stands sentinel in a protective cage that we pegged over them for the season. Why not go and say hello? A big thank you to Newstead Natives http://newstead.vic.au/business/newstead-natives-nursery for subsidizing the plants we are using for the Tree Planting Day. 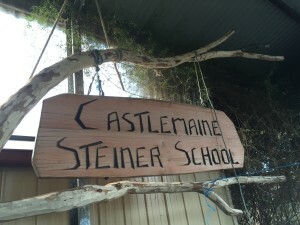 We are passing on the concerns that the Castlemaine Library Manager has communicated to all Castlemaine schools this week. She has written with regard to the growing number of students utilising the foyer of the Phee Broadway Theatre/Castlemaine Library as a place to gather after school, particularly on Fridays. Whilst their presence is welcomed, library staff are concerned that student are increasingly behaving in ways that are not safe, and/or welcoming of other users. She has recently met with the Shire’s Youth Services team, and they are aiming to work together to find ways to engage students more positively with the space. In the meantime, they would appreciate your help in advising your children to be mindful of their behaviour and its effect on others. Their concern is that this space is not staffed; it is a council-run community space that adjoins the library, and they are unable to police it. Children may well tell their parents that they are gathering at “the library” after school, but most of them never go into the library itself. Thanking you for your assistance in this matter. We have been having some technical issues with our absence line phone number. Some parents have responded to absence texts sent out by the school, but we are not receiving the response. It is suggested that parents now reply to the text via email or by ringing the school, to ensure that your child’s absence reason is recorded. We apologise for any inconvenience that this may cause. Parents also please remember that the absence line is only for absence related messages to the office staff, not various messages intended for your children. Thank you. We have a lovely light filled family home for rent in Castlemaine. Easy walk to the train, Kaweka and Town. 5 bedrooms, 2 bathrooms, master with ensuite and main with shower over spa. Hydronic heating and aircon. Wood fire in separate lounge, polished boards throughout, built in robes in bedrooms. open plan kitchen dinning with gas cooking and dishwasher. Large back deck with landscaped garden, established fruit trees, chook house and functional aquaponics system if interested. Over 70 Exhibitors will be on board to share information on clinical, natural and social autism services, along with early educator training organisations and equipment companies that specialise in sensory calming products for children with autism at your centre. There’s also speaker presentations and a Quiet Room to retreat to when needed. This event is for people with autism, carers, educators and anyone else that wants to know more! This Expo is being run by the not-for-profit charity the Autism Health & Well Being Association Incorporated. If you have any questions please call myself on 1300 665 602 and thank you in advance for your support of this important charity autism event! $30 for tickets from www.trybooking.com/MBEP or Taradale Wine & Produce. Consulting in Woodend on 3rd August, 5th October, 9th Novemer & 7th December, 2016. The Mount Barker Waldorf School Spring Fair is on again! This year it will be on Saturday the 29th October from 10am to 4pm. A large part of the Spring Fair atmosphere comes from the commission craft market stalls around the oval. The stalls provide a place to buy and sell Waldorf / Steiner / nature inspired crafts, toys, clothes, provedore and services. For the stallholders it is a place to advertise their businesses, gain exposure and build up client bases. We are inviting applications for stalls at this year’s Spring Fair. If you, or anyone you know are interested in holding a stall this year, please contact the stall organisers below for more information and a registration form. Registration is due by the 30th September. We realise that it would involve travel, but in case parents or staff know anyone in South Australia who would be interested, or if anyone with a business would like to combine the Spring Fair with a lovely weekend in the Adelaide Hills, we thought we’d let you know.